The Supreme Court has ordered the Government to come up with new plans to ensure the UK meets air pollution targets. The judgement was handed down this morning in ClientEarth’s case against the UK Government for its failure to meet legal limits for air pollution. The court case was launched after Government plans to tackle air pollution showed that they will not meet nitrogen dioxide (NO2) limits until after 2030 – 20 years after the original deadline. Air pollution campaigners had hoped that the Supreme Court would oblige the Government to come up with new plans as soon as possible so this is a victory for them. 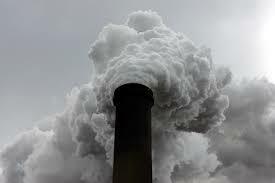 Experts have recently suggested that the death toll from air pollution, usually put at around 29,000 a year in the UK, could be substantially higher because of the effect of NO2, emitted during fossil fuel burning, which up until now has not been taken into account. Sarah Cope and Clare Phipps’ request for joint candidacy submitted to Basingstoke and Deane Borough Council on Thursday 9th April was rejected today by the Electoral Returning Officer on the grounds of a ban on job-shares for MPs. Neither Cope nor Phipps would be able to serve as a full-time MP. Cope is the main carer for two young children, and Phipps suffers from a disability which would prevent her from working full-time. Allowing job-share MPs has been Green Party policy since 2012. In 2010 Caroline Lucas, Green MP for Brighton Pavilion, used her first speech as Green Party Leader to call for the post of Member of Parliament to be opened up to job-shares to encourage more women MPs and make Westminster politics more accessible to ordinary people. Cope, 36, is a mother of two. She has been an active member of the Green Party for over a decade and is the chair of Green Party Women, the women’s sub-group within the party. “Allowing job-share MPs would open up Parliament to a much more diverse group of people, including more women, those with childcare and other caring responsibilities and those with disabilities. Phipps, 26, is researching gender and health as part of a part-time PhD and job-shares a position on the Green Party Executive. Since 2009 she has suffered from a disability known as idiopathic hypersomnia, a chronic condition which means she sleeps for around 12 hours a day. “It is now almost 100 years since women were first able to vote – yet The Electoral Reform Society predicts that on May 8th only 30% of MPs will be women. At this rate of progress, a girl born today will be drawing her pension before she has an equal say in the government of her country. Phipps and Cope argue that preventing their joint candidature contravenes their Convention rights, including the right to respect for their private and family lives and the requirement of respect for rights and freedoms without discrimination on the grounds of disability. Following the formal rejection of their application for candidacy, Phipps and Cope are seeking legal advice and will be continuing their campaign to become job-share MPs. The South East of England, including Northamptonshire, is expected to suffer from very extreme levels of air pollution this Friday. According to the the Department for Environment, Food & Rural Affairs website which is only operating with a holding page after yesterdays hack by Islamist hackers, there will be “very high pollution levels for a time in the far southeast of England, due to a flow from the south”. Warm, still conditions are expected to combine with traffic fumes, pollution from the continent and Saharan dust from the south as it rises to level 10. Much of the South East and eastern England will see high levels of pollution, although the problem is expected to be short-lived. Defra said overnight Atlantic winds will disperse polluted air by Saturday. In Eastbourne pollution levels are predicted to be so bad that the Met Office colour scale was broken as the air quality index prediction hit 10/10. Experts have recently suggested that the death toll from air pollution, usually put at around 29,000 a year in the UK, could be substantially higher because of the effect of nitrogen dioxide (NO2), emitted during fossil fuel burning, which up until now has not been taken into account. “After yesterday’s hacking of the DEFRA website it is very worrying that all Government monitors are offline as we head into a very high air pollution episode. Healthy people tend to notice air pollution as a dry throat, sore eyes or a tickly cough. But it can have a more serious impact on health by being the trigger for a heart attack or by making asthma worse. Even low levels of air pollution can harm the health of people who are particularly sensitive. But on Friday pollution will hit “level 10” or “very high” – the highest category of air pollution in the UK. It does not mean people need to stay indoors. But it is the only category of air pollution at which at-risk people – those with heart or lung problems and the elderly – are told to completely avoid strenuous physical activity. Even healthy people are told to cut down on the amount of physical exertion. However, the pollution will be brief and levels will drop to low/moderate by Saturday. People are also advised to avoid busy roads and those who carry a reliever inhaler should always have it with them. A case brought by environmental lawyers Client Earth against the government over levels of air pollution that breach European Union rules is shortly to return to the Supreme Court. Philip Insall, director of health for cycling charity Sustrans, described the state of air pollution in Britain as “criminal” and a “national embarrassment”. He said: “The next government will need to get a grip on air pollution. Karl Mathiesen writes in The Guardian about a new report by Which? that says successive governments’ failures mean UK’s housing stock remains the least energy-efficient in Europe and that a radical new approach is needed. With a national election coming in May, it would be good to think that at least one of the political parties would champion the need for change. Millions of draughty homes are the result of the collective failure of successive governments to tackle energy efficiency, according to UK consumer watchdog Which?. In a report published on Tuesday, Which? calls for a radical new approach to energy efficiency to deliver on historical promises to tackle fuel poverty, high energy bills and climate change. Arthur Neslen writes in The Guardian that, according to new analysis, stopping global warming at two degrees would create nearly half a million jobs in Europe and save over a million lives in China. Europe has promised a 40% emissions cut by 2030, compared to 1990 levels – and the report says this will bring real benefits, including 70,000 full-time jobs, the prevention of around 6,000 pollution-related deaths, and a €33bn cut in fossil fuel imports. You are currently browsing the The Northants Green Party Blog blog archives for April, 2015.